We lament the 500 breaches of Muni etiquette that flew out the window so this thing could have a seat(s). But it does look damned comical just sitting there. Perhaps these are the beginnings of a Halloween costume? It reminded me of Ol’ Drippy from Aqua Teen Hunger Force in its blobularness. Spotted something cool (balloon animals) or ridiculous (see attached) on your ride? Talk to us about it @munidiaries. 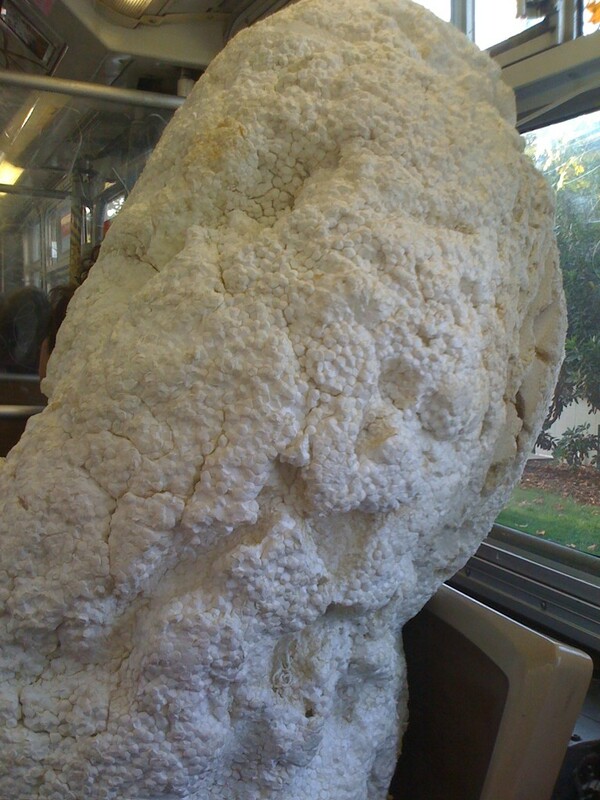 This might be my favorite Muni Diaries post of all time. Looks like a piece from the Stay Puft Marshmallow Man.